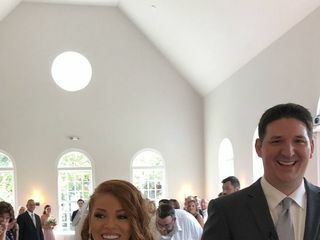 I cant say enough about my experience with Pam and how happy I was with our decision to have our wedding ceremony at the Ion Meeting House. 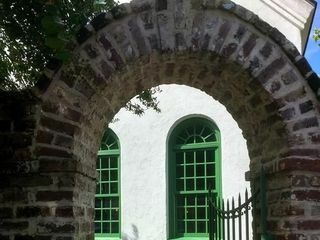 Initially, we chose to look at this venue because of the cute, quaint neighborhood and as soon as we entered and saw how beautiful the inside of the building is we were sold. It feels very clean and symmetrical with tons of natural light. Its super plain so you can dress it up or keep it as is. For me, I fell in love with the simplicity of the space. The set up is perfect-it has a separate room in the back with bathrooms and storage space. As a bride, the location is very convenient as well-its across the street from an Inn and a few restaurants/Pub and next door is a salon- making the morning of my wedding very simple! We received a lot of feedback from guests on the beauty of the building and the convenience of parking as well. I'On meeting house was the perfect location to host our silent auction. Would highly recommend! We had our wedding ceremony here and had an amazing experience. We loved the simplicity of the space, it made it so easy to style it how we wanted. We thought the space looked great, and full, with our 110 guests. Plus, the location of the space is perfect. It is close to many hotels, sits in a great neighborhood, and was down the street from our reception space. In addition, Pam was great to work with. She was extremely accommodating, organized, and very kind. I couldn't recommend this venue more! Thank you so much for the great review Elli. I love helping out to make a most memorable life moment. You too are very kind and thoughtful person. I wish you both a long fulfilling married life with fun adventures to keep the fire burning. Wonderful experience working with Pam! 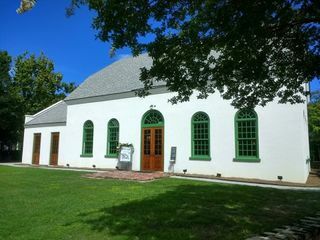 I’on Meeting House was the first venue we chose for our destination wedding ceremony. Pam was extremely easy to communicate with and was even willing to FaceTime with us to give a tour of the building prior to making our decision. Pam was easily able to work with our vendors to accommodate all our needs, including removing the existing white chairs and bringing in natural wood chairs for the ceremony. 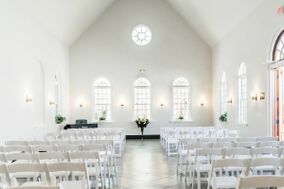 I would highly recommend this venue to anyone planning a small wedding that is both elegant and inviting! Pam was very easy to work with, and very flexible!! The space is beautiful and classic!! 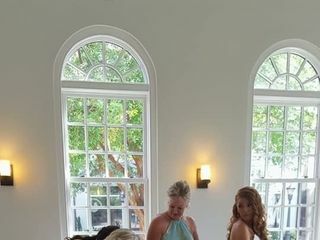 The flow of inside and outside was perfect for our semi casual wedding. We had about 100 people and it never felt crowded. This space is perfect and we are so thankful we found this hidden gem. I recommend y'all hurry and book it before the secret gets out! This is the cutest spot! Pam was so easy to work with and made sure we had everything we needed for our rehearsal dinner! Thank you Dani. We agree being the cutest spot and a great place for rehearsal dinners as well as ceremonies and receptions. It was such a pleasure working with you as well. Best wishes on your new adventures ahead. Pam. We had looked at many, many venues before we came upon the I'on Meeting House. We were looking for an affordable venue that didn't require you use a certain caterer or bar service since we would be sourcing that ourselves. We met with Pam, the venue coordinator and she was able to work with us on the price for an additional hour and was extremely responsive and helpful during the whole process. She really went out of her way to coordinate the wedding the night before and us share a tent rental and to accommodate all our small and big requests. The venue was beautiful during the late afternoon daylight and again at night with the tent outside offering string lighting and the exterior uplighting on the building. The white walls inside the venue created a blank canvas and really went well with our Mid Century Garden theme. I would highly recommend this venue if you are looking for an amazing value. There is no kitchen, only a hand sink in the back area, but we were able to rent a Hot Box to keep all the catering items warm. We and our guests were very pleased! We had a wonderful vow renewal for my parents 50th Anniversary at I'ON Meeting house! Pam was delightful to work with and the venue couldn't be more perfect! I would recommend this venue to anyone looking to plan a small event or wedding! We had the best time celebrating our son’s rehearsal party at the I’On Meeting House. The venue was beautiful and working with Pam Martin was a delight. Her professionalism, flexibility and kindness was above our expectations. She responded to every phone call and/or email immediately and had all the answers as well as great recommendations. She even eased our concerns regarding bridge traffic during the 526 shutdown, which was out of everyone’s control. We enjoyed working with Pam and highly recommend her and this venue to anyone planning any event. Thank you Pam for making our celebration worry free and going above and beyond to assist us during our celebration of our son and his new bride as they begin their new adventure together. The King Family! Thank you Andrea! It was a such pleasure working with you. I thoroughly enjoy my job of helping families provide the best event possible. My best to you and your family. We chose this venue because it was within our budget, it offered plenty of space for the amount of people that were attending, and most of all you don’t have to use a required catering service or bartender, you can bring your own if you choose. Pam was super amazing and very accommodating to our needs whether it was going over floor plans or suggestions on how to setup, super professional and very easy to work with. Definitely would recommend this venue to anyone that is looking for a place to celebrate their special day!!!! Beautiful place, lots of natural light, bringing together the old with the new. Lots of charm. Having our wedding at I’on Meeting House was the first and best decision we made while planning our big day! Ms. Pam made everything simple. Her communication with us as well as our vendors was beyond our expectations. The neighborhood where the venue is located is beautiful and easily accessible. It’s great for photos before and after the wedding ceremony. I would recommend this venue to anyone planning a small intimate wedding that is both elegant and inviting. Everything about The I’On Meeting House was perfect for our event. The lighting and the space set the atmosphere for a beautiful evening. Thank you Courtney. We enjoyed having your event. You are a delight to work with. Best. Perfect location in Mt. Pleasant. We did not use this venue as a wedding site but as a venue for our church vestry retreat. We appreciate your review Susan. It's always a pleasure to work with you and the vestry. 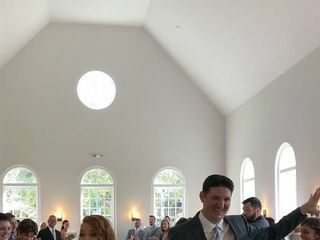 The I'On Meeting House was the PERFECT location for our wedding. It is a beautiful building and is right in the center of the I'On community. Pam was a pleasure to work with and you cannot beat the price for this venue! Thank you so much Michelle. It was a great pleasure working with you as well. Your wedding was beautiful. Best wishes to you and Peter on your new adventures together. This chapel is the perfect spot for a small ceremony. I would recommend looking here if anyone plans on getting married in the Charleston area!! Thank you so much for letting us be a part of your day Mary. You and your family were a delight to work with. This is a lovely venue very centrally located in a convenient location in Mt. Pleasant. The event space is very open and simple, allowing for a planner to decorate with any theme or color scheme without fear of clashing. The added benefit of an adjoining outdoor area is a plus for added space and/or a unique "second space" for an event. Convenient parking is also a plus. Thank you Kimberly. We were grateful to be available to help out with the last minute change of venue due to the Hurricane damages. The beauty of this space speaks for itself. Definitely check it out. The location is just wonderful and close to downtown, in the beautiful I'on neighborhood with plenty of parking. We hosted a 25-person business lunch and presentation here in early April. Perfect setup for that size crowd. The Square Onion (next door) catered. Excellent venue. So sweet. So easy to work with! It’s just a tad echoey and there’s not a ton of storage space. So plan for that. I also wouldn’t not plan to get ready here. Tiny bit small. Thank you for the review Alanah. We do recommend brides to prepare elsewhere and then touch up once they arrive for that special walk down the aisle. You were a lovely bride and a great client to work with. I wish you both a great future. Best. Thank you Curtis for taking the time to review us. It was with great pleasure to work with you and your sister in being a part of your family reunion weekend. All the best.